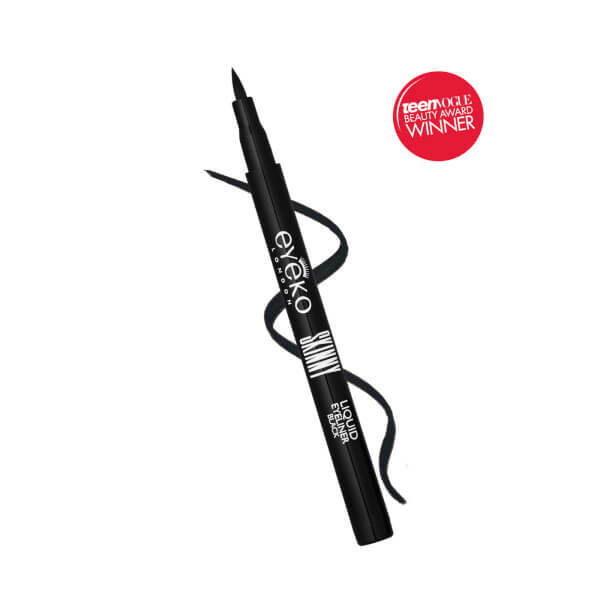 The Eyeko Eyeliner Wardrobe® combines the brand's five signature award-winning eyeliners to create smudge-proof, budge-proof definition. 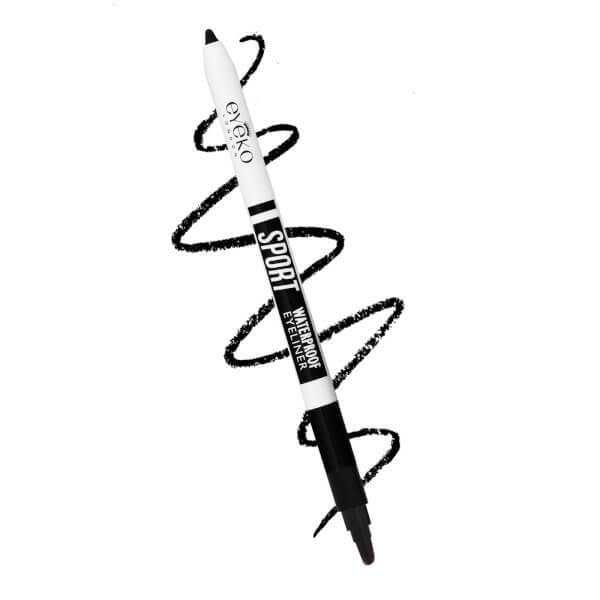 A smudge-proof, long-wearing formula with a tapered precision tip. Infused with Sodium Hyaluronate, the moisturising liquid liner pen glides effortlessly across the eyes, allowing you to create fine lines or sultry cat eyes with controlled application and intense colour. Paraben free. 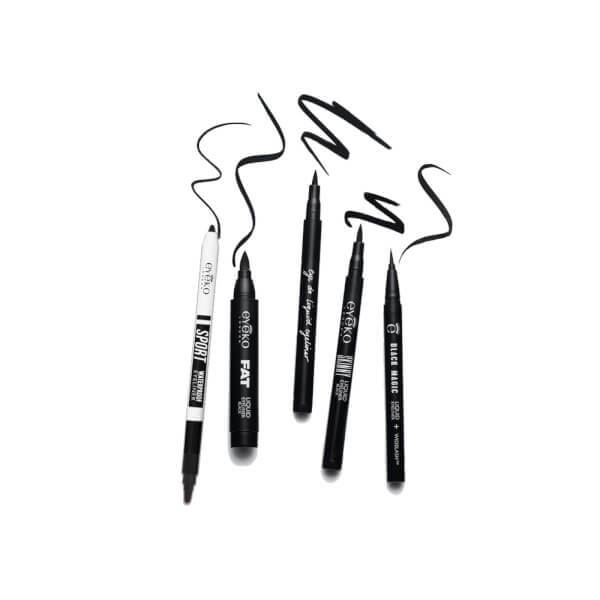 A waterproof liquid eyeliner with precision tip to expertly accentuate your eyes. The carbon black liner delivers a shock of true colour onto lids; it glides effortlessly over eyeshadows and is perfect for creating sultry cat eyes or defining the waterline. Formulated with WIDELASH™, the easy-to-use eyeliner make eyelashes appear longer, fuller and stronger with up to 3 times more volume in just 15 days (with regular use). 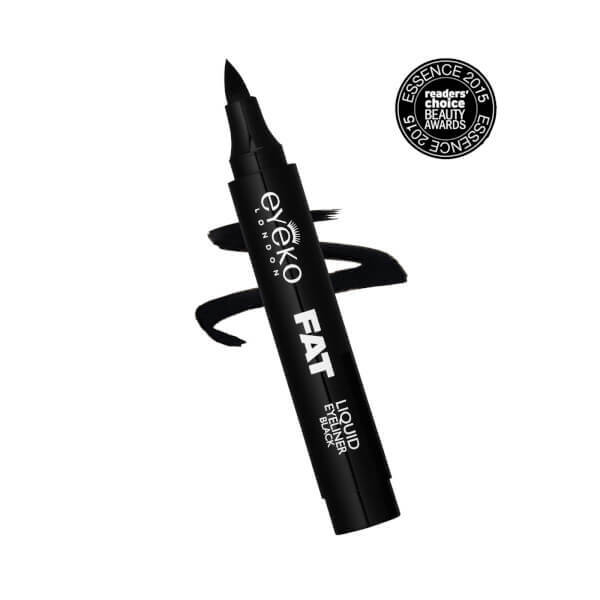 A 3-in-1 eyeliner with built-in brush and sharpener. 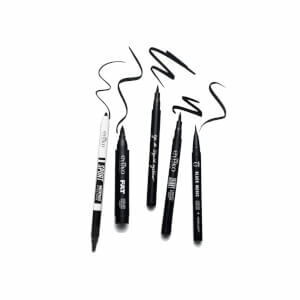 The mechanical eyeliner has a twist-up tip that can be used to create thick to thin lines and sleek cat eyes. 100% waterproof, it will stay put at the gym and on holiday, and contains Coconut Oil for smooth application that won't drag delicate lids. 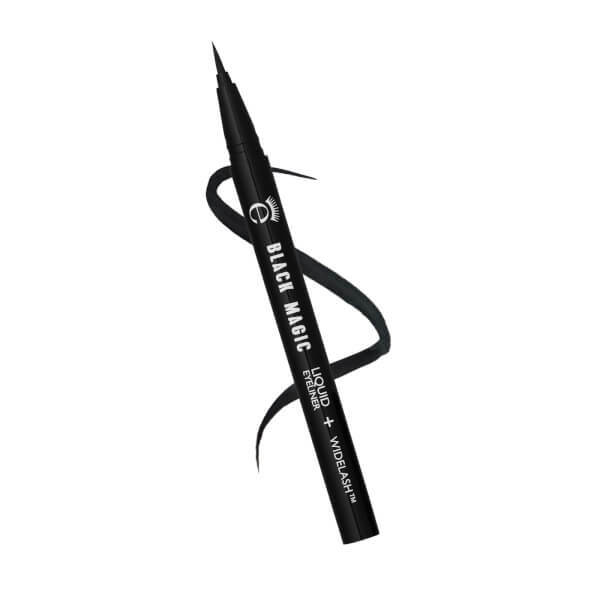 A fluid eyeliner with blackest black finish and precision tip for professional-looking results. Inspired by traditional calligraphy and created in Japan, the liquid eyeliner glides effortlessly along the eye, delivering a shock of intense black in one single stroke. Its precision tipped brush allows for fool proof application, so you can create thin to thick lines or cat eyes with ease. Staying put all day without fading, the formula also contains WIDELASH™, a tripeptide blend that helps to enhance lash growth for up to 3x the length and volume in 15 days. Skinny: Aqua (Water), Acrylates Copolymer, Butylene Glycol, PPG-26-Buteth-26, Sorbitol, Phenoxyethanol, PEG-40 Hydrogenated Castor Oil, Algae Extract, Caprylyl Glycol, D&C Black No. 2 (CI 77266), Ultramarine Blue (CI 77007). Eye Do: Water (Aqua), Acrylates Copolymer, Butylene Glycol, PPG-26-Buteth-26, Sorbitol, Phenoxyethanol, PEG-40 Hydrogenated Castor Oil, Algae Extract, Caprylyl Glycol, Glycerin, Panthenol, Biotinoyl Tripeptide-1, D&C Black NO.2 (CI 77266), Ultramarine Blue (CI 77007). Fat: Aqua (Water), Acrylates Copolymer, Propanediol, PPG-26, Sorbitol, Phenoxyethanol, PEG-40, Algae extract, Caprylyl Glycol. MAY CONTAIN: CI 77266 (Black 2), CI 77007 (Ultramarines). Sport Waterproof: Cyclomethicone, Trimethylsiloxysilicate, Ceresin, Polyethylene, Euphorbia Cerifera (Candelilla) Wax, Polyglyceryl-2 Triisostearate, Microcrystalline Wax, C12-15 Alkyl Ethylhexanoate, Hydrogenated Vegetable Oil, Hydrogenated Coconut Oil, Stearic Acid, Cetyl PEG/PPG-10/1 Dimethicone, Methicone, Copernicia Cerifera (Carnauba) Wax. MAY CONTAIN: CI 77499 (Iron oxides), CI 77019 (Mica). Black Magic: Aqua (Water), Butylene Glycol, Acrylates Copolymer, Alcohol, Steareth-20, Glycerin, Bentonite, Biotinoyl Tripeptide-1, Cellulose Gum, Citric Acid, Glyceryl Stearate, Panthenol, PEG-40 Hydrogenated Castor Oil, Phenoxyethanol, Polyglyceryl-10 Oleate, PVP, Simethicone, Sodium Citrate, Sodium Dehydroacetate, Sorbitan Stearate. MAY CONTAIN: CI 77266 (Black 2).